and all the newest IPG titles in your inbox each month! 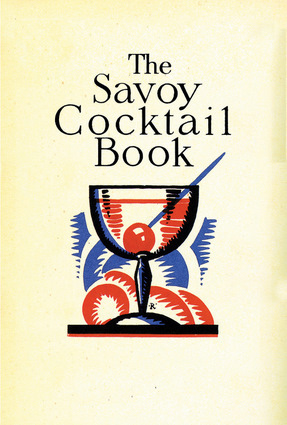 The Savoy Cocktail BookOriginally published in 1930, the Savoy Cocktail Book features 750 of legendary barman Harry Craddock's most popular recipes. It is a fascinating record of the cocktails that set London alight at the time—and which are just as popular today. Taking you from Slings to Smashes, Fizzes to Flips, and featuring art deco illustrations, this book is the perfect gift for any budding mixologist or fan of 1930s-style decadence and sophistication. & ParrFrom Cheese Straws to Glitter Ham, Banana Flambé to Boudoir Biscuits, Chewing Gum to Alchemical Mountain Brew, the recipes showcase the wild imaginations of these partners. Curry MagicMany people are first introduced to Indian food at a restaurant, and this wonderful book will teach cooks the simple, effective, and time-saving techniques used by Indian chefs. Want More? Click the button below! The Eat Well CookbookAll recipes are gluten- and dairy-free, making them perfect for people with sensitivities and allergies, or people who just want to look and feel healthier. Eat Me!French Toast Cupcakes, Pistachio Lime Cupcakes, White Russian Cupcakes, Lavender Heart Cookies—the wonderful world of Cookie Girl combines fairytale themes with the glamour of cocktail hour. The Metabolic Clock CookbookDiscover what to eat, and when, to speed up your metabolism and lose weight easily with this cookbook companion to the Metabolic Clock lifestyle. BakeFrom Chocolate and Orange Truffle Meringue Tarts to Leek and Goat Cheese Phyllo Parcels, a collection of easy-to-achieve sweet and savory baked goods. Includes a conversion chart.